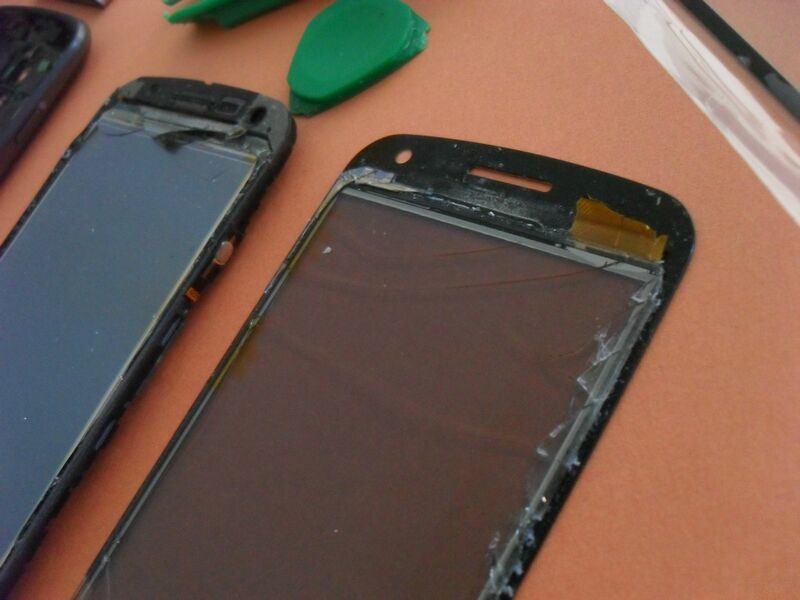 I’ve seen so many different videos walking through the replacement of a broken screen for a Samsung Galaxy Nexus smartphone. Enough that I felt I could succeed. I did not. A couple months back I was taking my phone from my pocket and it fell in just the right spot that the protective case didn’t stand a chance; perfectly on the corner at an angle where the case wasn’t covering it. The cracks were unsightly and spread from that corner up about a quarter inch into the display area, but mainly obscured the permanent soft buttons. 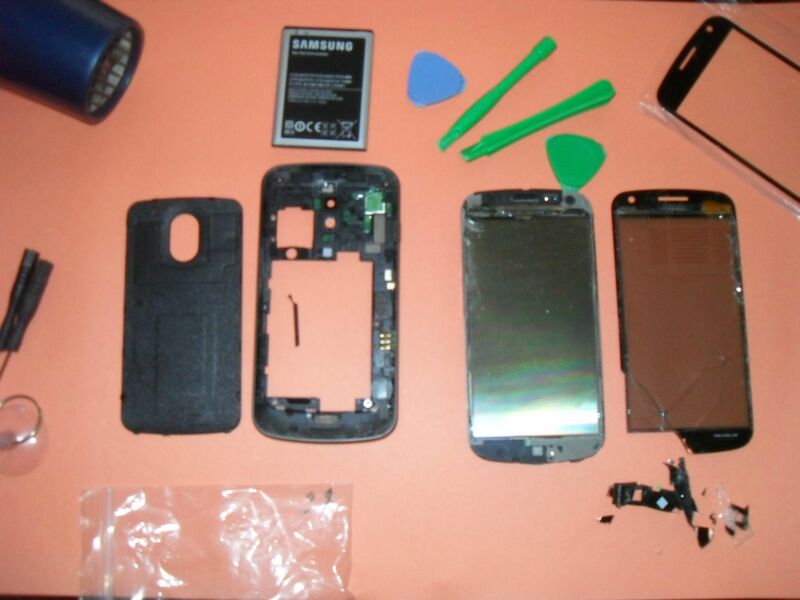 I put a membrane on the screen to avoid finger tip irritation and researched how to replace the glass. A smartphone’s touchscreen is made up of three layers: The LCD membrane, the digitizer, and the protective glass screen. Each layer is glued to the next with a transparent adhesive. To replace the broken glass, the adhesive has to be heated up and then scraped off with a plastic tool. 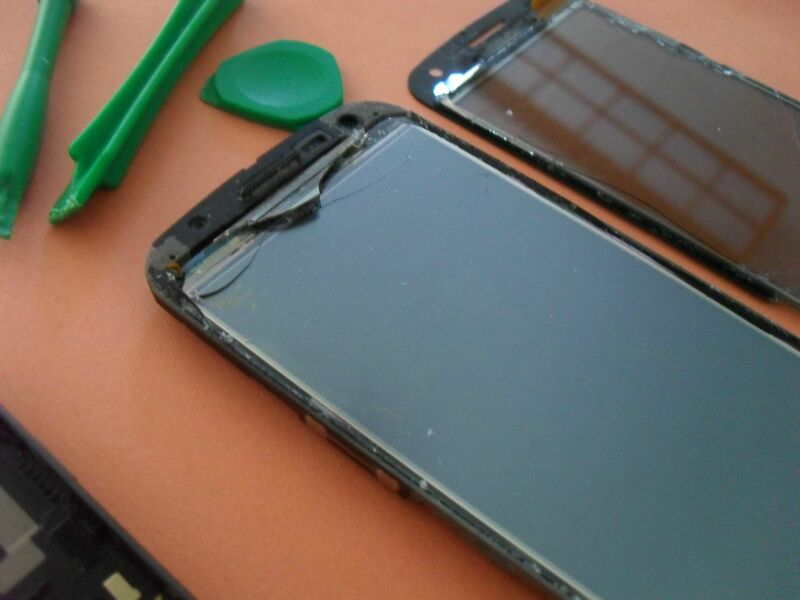 The glass should separate from the digitizer and the new glass should be pressed in place with new adhesive. The glass had to ship from China, so it took about three weeks. After I received the glass – which came with tools – I did even more research to make sure I wouldn’t mess it up. But apparently my mechanical skills aren’t very good. It started out well. I had my wife’s hair dryer out, and the glass was coming up just fine. The broken pieces came off in the corner, but as I edged my way around the sides it became clear I may not be working on the same layer in both sides. Part of the problem may be that the Galaxy Nexus has a curved screen so the lower side is about 1/16th inch and the top is less than 1/32. Whatever it was, while I was using the tool around the edges and warming the glass with the hair dryer, the glass appeared to be separating as I had seen in the videos. The adhesive was becoming opaque where it was being pulled on, and then the glass came off! Along with the entire digitizer… and the little golden lead was separated from the board. 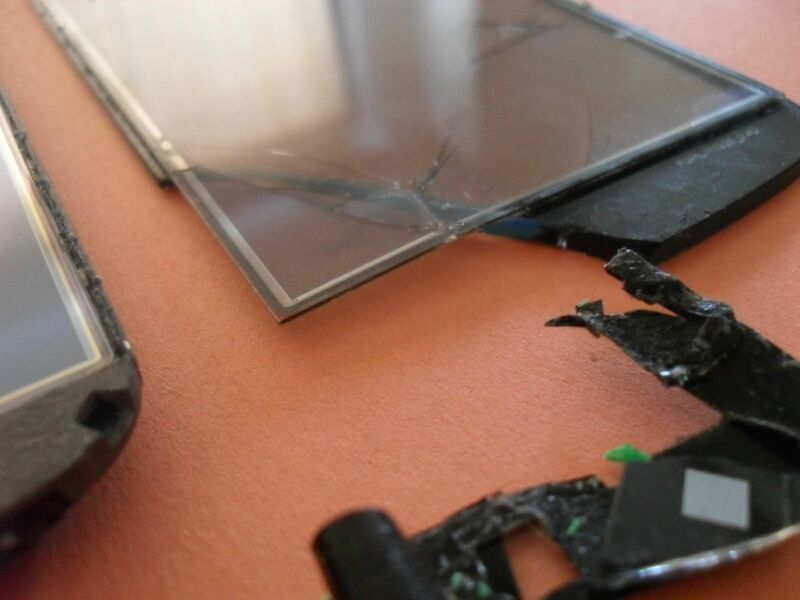 The end result was the broken glass was still attached to the digitizer, and all three layers now have huge cracks. In conclusion: My home project to repair a cosmetic problem ended with my only phone becoming a waste. And all I have to show for it is a bloody finger and a blow to my ego, mixed with the stress over not having present funds to replace the phone. I could never imagine repairing something like this since it was not man made. 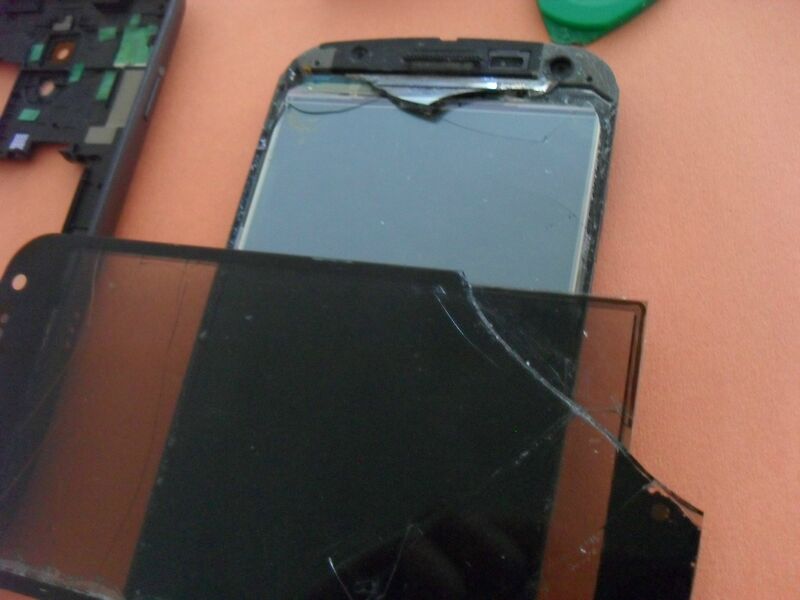 To me this is a one time use item,(screen,digitizer, LCD). I applaud you for attempting its repair, and feel your pain for ending up with a pile pf scrap. Uhh, actually, Yasin or “Yasin,” it IS man-made. What did you think it was: some sort of “natural” product or something like that?